A 21-year-old New Jersey man who admitted he tried to join ISIS in Syria reveals a plot in which his associates planned to carry out an attack on the White House. Chief Investigative reporter Jonathan Dienst reports. A 21-year-old New Jersey man pleaded guilty in federal court Wednesday to plotting with others in the tri-state area to travel overseas to join ISIS and to aspirational talk about targeting landmarks in the United States, including the White House. Wearing a yellow prison jumpsuit, a handcuffed Samuel Topaz, of Fort Lee, pleaded guilty in Newark court to one count of material support for terror. He could face 15 years in prison but his lawyer says his client plans to cooperate against others arrested in the investigation in hopes of a lighter sentence. Topaz, a recent convert to Islam, was arrested in mid-June, accused of conspiring with at least one of several other men arrested in the tri-state area the same week as part of the ongoing investigation. Topaz's attorney Ian Hirsch said some in the group had discussed getting guns and traveling to Washington, D.C., to shoot up the White House lawn after they encountered difficulty leaving the country to join ISIS in Iraq or Syria. No specific attack was planned, Hirsch said. 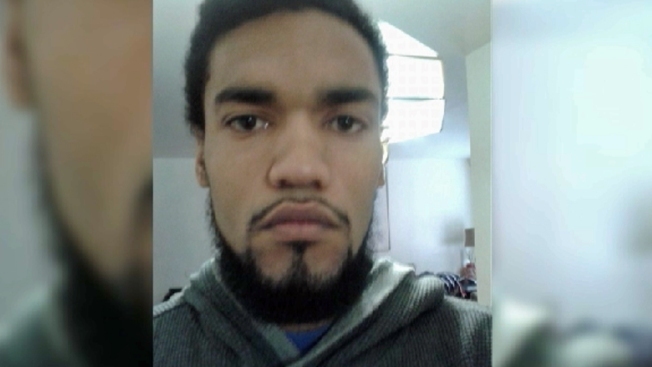 Samuel Rahamin Topaz's arrest is the fourth terror-related arrest in the tri-state area in the past week. Jonathan Dienst reports. Hirsch said Topaz told him he knows some in the group allegedly talked about carrying out possible other attacks on domestic soil as well. He said Topaz, who was born in the United States, was troubled by the talk of his alleged co-conspirators. Hirsch described him as "naive" and said he is "not a terrorist," "does not hate America" and is remorseful for his behavior. The investigation into Topaz began when a friend reported to the FBI that he may try to travel overseas, according to the criminal complaint. Topaz watched ISIS videos with co-conspirators and held meetings with other suspects, including one near the World Trade Center site, the complaint unsealed this summer said stated. In a Facebook post dated April 25, Topaz said he was planning to delete his social media accounts until "I leave the country," though he didn't specify why he planned to leave. Topaz is scheduled to be sentenced in November.